WASHINGTON— The Yale economist William D. Nordhaus has spent the better part of four decades trying to persuade governments to address climate change, preferably by imposing a tax on carbon emissions. But Professor Nordhaus sadly noted that he hadn’t convinced the government of his own country. Professor Nordhaus shared the prize with Paul M. Romer, an economist at New York University whose work has demonstrated that government policy plays a critical role in fostering technological innovation. The award was announced just hours after a United Nations panel said large changes in public policy were urgently needed to limit the catastrophic consequences of rising temperatures. The prize committee said its choice of laureates was meant to emphasize the need for international cooperation. That was described as a rebuke to the Trump administration by some proponents of stronger action to confront climate change. Under President Trump, the United States has pulled back from global efforts to limit climate change, and it has moved to reduce controls on pollution. “Any Nobel Prize linked with global climate change will inevitably be seen as an international critique of Mr. Trump’s outspoken opposition to domestic and international climate change action,” said Robert Stavins, head of the Environmental Economics Program at Harvard. Professor Romer, for his part, offered a more optimistic take on the challenges confronting society, saying that his work showed that governments could drive technological change. He noted the success of efforts to reduce emissions of ozone-depleting chlorofluorocarbons in the 1990s. The day began with a little comedy, as the Swedes struggled to contact the winners. Professor Romer said he heard his phone ring, twice, in the early morning hours, but he did not answer because he assumed it was a spam call. Then he checked caller ID and saw the call was from Sweden. So he called back and, after waiting on hold, learned he had won the Nobel Prize. Professor Nordhaus said he slept in, only learning that he won the prize when his daughter called. Professor Nordhaus, 77, graduated from Yale in 1963, earned a doctorate in economics from MIT in 1967 and then returned to Yale as a member of the economics faculty. He has been there ever since. In the 1970s, amid rising concern about pollution, economists including Professor Nordhaus began to argue that taxation was the most effective remedy: The government should require polluters to pay for damage to the environment and to public health. The idea remains broadly popular among economists. “There is basically no alternative to the market solution,” Professor Nordhaus said Monday. To assess the costs of climate change, including crop failures and flooding, Professor Nordhaus developed an economic model he called the Dynamic Integrated Climate-Economy model, or DICE. Professor Nordhaus has also worked on broader issues related to economic growth. In a paper published in 1996, he showed that traditional measurements of growth understated improvements in the quality of life. He used the example of artificial light, calculating that the amount of work required to produce a given amount of illumination had decreased much more sharply than the standard measures of the price of light. His technique was also unusual: He created his own fires, for example acquiring an authentic Roman oil lamp to measure the light it produced. Professor Romer, 62, was honored for loosely related work on the determinants of economic development. Economists who studied the broad workings of the economy understood that the pace of innovation was influenced by human behavior, but they had not mastered the details. As a result, they often treated innovation as manna from heaven, and not a legitimate subject of public policy. He said he was attracted to growth theory because he was intrigued by the acceleration of innovation that is a hallmark of the modern era. In papers in the 1980s and 1990s, Professor Romer developed the idea that nations could foster innovation by investing in research and by writing laws governing the ownership of intellectual property that rewarded innovation, but not excessively. He argued that differences in policy helped to explain differences in economic growth. In an interview, Professor Romer said the value of his work was in being precise about a broadly intuitive idea. “It helps to see connections that weren’t obvious at first,” he said. In a 2015 essay, he criticized some other economists, including those with different ideas about the determinants of growth, for the sin of “mathiness,” which he described as the use of math to obscure rather than clarify underlying ideas. “The style that I am calling mathiness lets academic politics masquerade as science,” he wrote. In 2016, Professor Romer was named chief economist of the World Bank, a prestigious perch for a development economist. But he resigned 15 months later, in January 2018, after suggesting the bank’s positive evaluation of Chile’s economic policies had been influenced by political considerations. 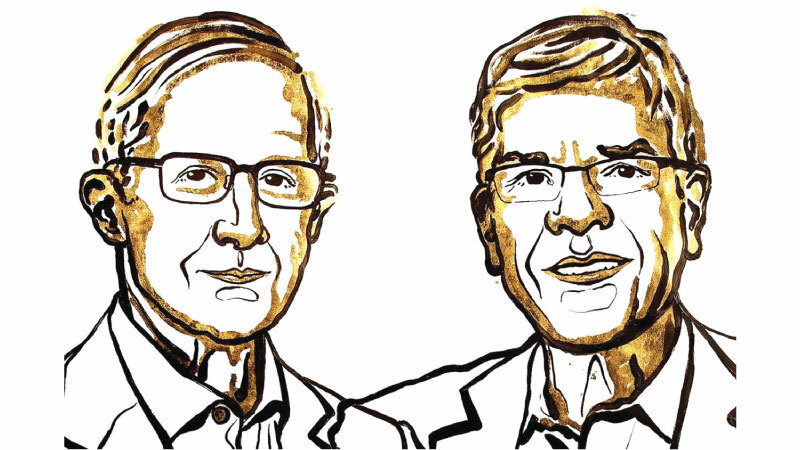 There are broad commonalities in the contributions of Professor Romer and Professor Nordhaus. The prize committee emphasized that both men, in their work, have argued that markets are imperfect and that government intervention can improve outcomes. Joshua Gans, an economist at the University of Toronto, said both men also had helped to reduce the barriers to government intervention: In the case of climate change, by estimating the costs of inaction; in the case of innovation, by estimating the benefits of action. “Each showed how a careful accounting of economic forces can lead to progress,” Mr. Gans wrote. But both men still struggle to sell their ideas to policymakers. Professor Romer, who is the son of Roy Romer, a former Colorado governor, said economists needed to cultivate and husband a reputation as “umpires in the fact business” rather than openly campaigning. Professor Nordhaus lamented that that approach did not seem to be enough.